The more we hear, the better this lineup is looking. Yakuza 4 favorite Shun Akiyama has been revealed as a playable character for the next Yakuza, and apparently he ain’t gonna be in there for his child-like innocence. 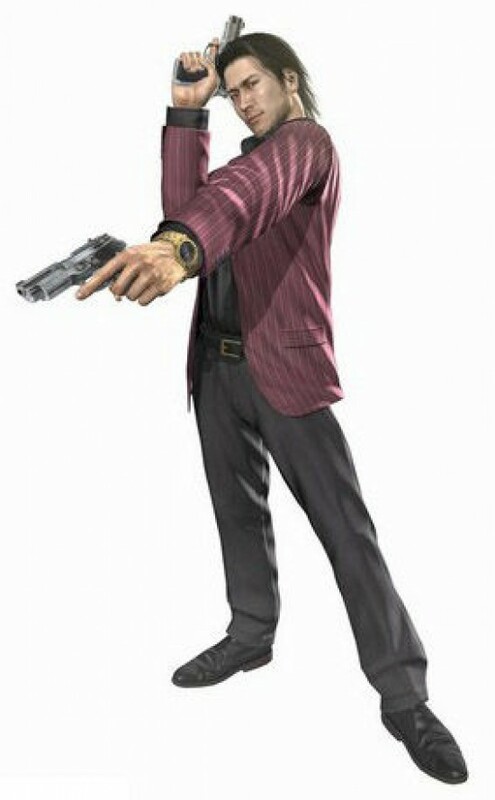 Just like previous character announcements, the photo depicts the character as brandishing some big shiny hand cannons, further supporting the growing suspicion that the series’ normal penchant for hand-to-hand fisticuffs may take a back seat this time around in favor of some gunplay. Maybe this is what producer Toshihiro Nagoshi meant when he said that they’re taking a scalpel to the fundamentals of the game systems. What’s everybody think about these possible changes? What could more shooting gameplay mean for the series? These little character reveals are starting to drive that buzz machine into high gear, so it’s time to start speculating.